Investing is not betting nor gambling. However my statement is of course my bread. My bread is totally different from other ppl. I find that the word 'bet'appears on a majority of margin Finance topics/discussion. Goes to show it's still a kind of gambling mentality. This is the kind of knowledge knowhow which is grossly wrong n teaching our youngsters the wrong way. We Shld be using the word invest especially for your future. They shld learn the prudent man rule as well. This will teach them responsibility on their own future. I totally agree with the statement. Investing should be a boring and long term process which required a lot of skill, analysis and independent thinking. However, youngster now a days like to follow different GURU or tips in order to make a quick bucks. Most of them buy a stock and expect it to goes up tomorrow which is totally unrealistic. Two, the skill sets needed in managing portfolios. The kind of stuffs universities and CFA courses spend a lot of time on. Once you are on borrowed funds and margin accounts, once you buy more than one stock , you are in this territory. All the Warren Bufett wannabes and copy cats just repeat what they read.......and become sifus......how about teaching the basics of portfolio theories? Margin accounts remain very popular. You cannot be complete sifu by focusing on 1 and completely neglecting 2. Margin account too risky is not a good answer. Assume a portfolio of two stocks.....perfectly and negatively correlated. Why got risk one? It will be silly not to margin this portfolio if the dividend income is higher than the interest cost. This will , then , be your perfect compounded growth, exponential growth portfolio at zero risk....why cannot margin? Chong.....don't just criticize margin accounts, be creative. If done well, it can be a popular course. The people wants margin accounts.....what they need are some basics of modern portfolio theories.....even Koon Ywe Yin soon attend. His portfolio is too focused and therefore too high risk for a margin account. But how do you tell a guy that unless you are equipped with all the knowledge of modern portfolio theories? For those who are innovative and creative, there are business opportunities....but only for the creative and innovative. Since someone mentioned about portfolio management then I will talk about it a little. Markowitz Portfolio Theory emphasize on borrowing in risk free rate in order to invest in high yield stock for more return. Given 10 year MGS rate is around 4% according to BNM, you need to borrowing with interest rate less than 4% to earn money. Look at the interest charges on margin account provided by investment bank. I doubt that borrowing to invest will work. 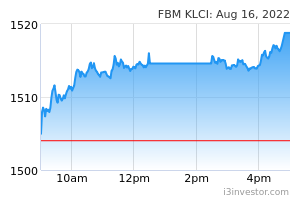 Another issue on correlation, KLCI always had been a creative market with little to no correlation with world market. You might not be able to get precise correlation calculation to build up a portfolio. Apart from that, when everyone is in fear and keep selling. I don't think correlation will be working since everything is going down. By the way I never know that a fund manager will borrow or use margin account to invest. When an investment bank are trying to set up a new fund, they will determine the size of the fund and selling it to public. And the fund manager will be managing the money within the clause of IPS. So far, I never read any IPS that grant the authority to fund manager to use margin account. Debt is only good IF it can give u higher and better returns than debt installment. a very good informative write up on margin trading. In a cash account, there is always a chance that the stock will rebound. If the fundamentals of a company don't change, you may want to hold on for the recovery. And, if it's any consolation, your losses are paper losses until you sell. But as you'll recall, in a margin account your broker can sell off your securities if the stock price dives. This means that your losses are locked in and you won't be able to participate in any future rebounds that may take place. ME: BELIEVE ME, THE FIRST KIND OF SKILL WILL PROVIDE YOU WITH A MUCH HIGHER PROBABILITY OF SUCCESS IN INVESTING THAN THE SECOND KIND MENTIONED ABOVE. BUT NOT ONLY BOOKS ABOUT WARREN BUFFET AND HIS LETTERS TO SHAREHOLDERS, AND BOOKS OF OTHER INVESTMENT GURUS SUCH AS JOEL GREENBLATT, SETH KLARMAN, HOWARD MARKS, MOHNISH PABRAI, PAT DORSEY ETC. THE SECOND KIND HAS NO USE AT ALL FOR THE INVESTMENT SUCCESS OF A RETAIL INVESTOR WHICH WE ARE DISCUSSING AND CONCERN ABOUT. YOU ONLY TALK ABOUT PORTFOLIO THEORY WITHOUT KNOWING MUCH ABOUT IT. PORTFOLIO THEORIES DESERVES NO PLACE FOR RETAIL INVESTORS. IT HAS LITTLE USE TOO IN FUND MANAGEMENT. WHAT THE F? WARREN BUFFETT, SETH KLARMAN, MOHNISH PABRAI, HOWARD MARKS MANAGING FUNDS WORTH BILLIONS USD AND MADE BILLIONS FOR THEIR INVESTORS. ANYONE OF THEM USES MARGIN FINANCE? INVESTING ITSELF IS ALREADY A RISKY ENDEAVIOUR. MARGIN ACCOUNT AMPLIFIES IT MANY FOLDS. WE DON'T NEED THAT. REALLY AH? NO RISK? ARE YOU TALKING ABOUT USELESS MODERN PORTFOLIO THEORY FOR RETAIL INVESTOR? OK OK. GIVE ME EXAMPLE OF TWO “PERFECTLY AND NEGATIVELY CORRELATED” STOCKS IN BURSA. FOR YOUR LEARNING PURPOSE, IN REAL LIFE INVESTING, YOU CAN’T EQUATE RISK WITH PRICE MOVEMENT OF STOCKS. It will be silly not to margin this portfolio if the dividend income is higher than the interest cost. 1) HOW SURE ARE YOU THIS DIVIDEND WILL CONTINUE? 2) WHAT IS MORE IMPORTANT; DIVIDEND RETURN OR TOTAL RETURN? This will , then , be your perfect compounded growth, exponential growth portfolio at zero risk....why cannot margin? HOW WONDERFUL. EVERYONE WILL BE RISH THEN. TEACH THEM, TEACH THEM PLEASE. PROPAGATING AND ENCOURAGING YOUNGSTERS TO USE MARGIN FINANCE IS THE WORST THING AN INVESTMENT COACH TEACHES HIS STUDENTS. IT IS ALSO A GREAT DISSERVICE TO THE SOCIETY. PERIOD. WHY AREN’T YOU A TYCOON YETAH? HAVING SAY THE ABOVE, AN INVESTOR NEED TO ON GUARD MORE ON MARGIN COMPARE WITH OWN MONIES. 2. THE BANK MAY CHANGE THE CAPPING VALUE OF YOUR SHARE, AGAIN THIS MAY REDUCE UR SECURITY..RESULTING THE RISK OF MARGIN CALL AND FORCE SELL. IN THE CASE OF A MARGIN INVESTOR...HE NEED TO BEAR IN MIND OF RISK ITEM 1 TO 3 COMPARE TO SHARE INVESTOR. OTHER THAN ITEM 1 TO 3....THE RISK OF CASH INVESTOR AND MARGIN INVESTOR ARE EXACTLY THE SAME. SO IN ORDER TO USE MARGIN FINANCING U NEED TO MANAGE YOUR MARGIN RISK LOH....RAIDER WILL ELABORATE THIS LATER...!! As Desa has mentioned if ur funding cost is lower than ur opportunity cost and your investment return is very much higher than than your funding margin cost, taking margin is an obvious advantage, but u just bear in mind the 3 extra risk that raider has highlighted....!! Raider, so are the three points a small or big concerns? How can a retail investor guides against them? Tell us how you manage margin risk. What is your opportunity cost? Forget about using epf rate, as investors should have a good asset allocation that he should have some in fixed income, and epf is the best fixed income to me. Cost is a fixed thingy, is your investment return, especially in the short term a fixed return, or just an expectation? Bear in mind, your return in the short term must be realized too, otherwise if you lose big, margin calls will be made. To date, epf has returned better than the FDs. Leave your money in epf and treat this as the income asset in your asset allocation. Debts can be bad and can be good. As for margin financing to buy shares, my advice to the majority is DON'T. Those who use margin financing should stress test their portfolio. What if the values of their portfolio drops by 50% over a few months, will they be financially alright or will they be mortally financially harmed? If the consequences are not too harmfuk, I suppose they can employ some margin financing in their investing. On the other hand, if the consequences are too harmful, they should not. Let us be reminded of Pascal's wager. Investing in the stock market is fraud with uncertainties. The good investors avoid and keep these uncertainties to the minimum. They invest into companies they understand, that are easy to value and where they can acquire at a price when the reward risk ratio is to their advantage. Even the appearance of a "black swan" event, they will survive financially. Pascal wager - "In the face of uncertainty, your action should be guided by its consequences and not by its probabilty." It is no any better than loan shark force you to pay the money by rewriting their margin rules, banker can always make new rule unfavorable on them. They moment you sign up the margin loan, you are one step closer to hell. This hell is governed by the bank and it is called financial system. Can we put all the blame to banker? Of course no, banker core business isn't margin loan, they need to deal with plenty of clients who need money every now and then, when they are short of cash, margin loan will be the first to be victimized. It is true that once you are indebted, you may not in total control of your actions. You may be dictated by the lender to your detriment. Those using margin financing should be aware that their lenders give them the umbrella on a shiny day and ask for it back on a rainy day. That is why WB says, don't leverage. Those who are smart do not need to. Those who are not smart, have more reasons to stay away from it. WHEN U INVEST USING MARGIN ...U MUST INVEST BASED ON THEORY OF USING YOUR CASH PORTION 1ST....!! THAT MEAN U USE 100% OF YOUR CASH MONIES 1ST LOH AND INVEST BASED ON MARGIN OF SAFETY!!. THE BALANCE SAY 20% OF LEVERAGING U CAN LOCKED INTO FIXED RETURN AS RAIDER MENTIONED BELOW LOH....!! THE EXCESS OF MARGIN QUANTUM 1.67X V 1.2X UTILISATION...ARE YOUR EMERGENCY MONIES, JUST IN CASE U NEED IT. HOLD YOUR MARGIN AT LOW LEVEL...MAX 1.2X COMPARE WITH YOUR MAXIMUM GEARING OF SAY 1.67X LOH....!! THE MARGIN ALLOW U TO FULLY INVEST 100% OF YOUR CASH COMPARE TO CASH INVESTOR CAN ONLY GO UP TO 80% TO 90% OF HIS CASH. BTW...U DON NEED TO LOCKED INTO FIXED RETURN, WHEN THE RETURN IS BELOW THE MARGIN COST LOH....!! IN THAT CASE USE ALL YOUR POSITIVE CASH FLOW FROM DIVIDEND COLLECTION..TO REDUCE MARGIN PRINCIPAL LOH....!! HOLD A DIVERSIFY PORTFOLIO....RAIDER THINK AT LEAST 20 STOCKS...!! MAXIMUM EXPOSURE PER STOCK IS ONLY 10%. KEEP ABOUT 20% OF YOUR INVESTMENT THAT HAVE QUASI FIXED RETURN!!. IF U HAPPEN TO HAVE A MARGIN CALL BY THE BANK....ALWAYS SELL 1ST SOME OF UR PORTFOLIO, TO REDUCE YOUR EXPOSURE TO COMFORTABLE LEVEL....!! NEVER NEVER MEET MARGIN CALL WITH NEW MONIES LOH...!! RAIDER OPPORTUNITY COST IS 5%...BCOS RAIDER OPPORTUNITY COST IS ACTUALLY RAIDER BORROWING COST LOH..!! RAIDER AVERAGE RETURN FOR THE PAST 5 YRS ABOUT 15% PA...!! FAIR ENOUGH RETURN ON EQUITY IS LIKELY TO FLUCTUATE..THIS ISSUE IS APPLICABLE TO BOTH MARGIN INVESTOR AS WELL AS CASH EQUITY INVESTOR TOO LOH..!! HOWEVER LONG RUN SAY OVER 3 YRS....THE EQUITY RETURN CAN BE AVERAGELY DETERMINE AT A REASONABLE HIGH LEVEL...THIS IS PROVIDED U USE MARGIN OF SAFETY PRINCIPLE....LOH..!! HOWEVER U STILL CAN CREATE FIXED RETURN..! !...FOR EXAMPLE....IF U HOLD REACH SPAC MOTHER, UNTIL MATURITY YOUR RETURN EXCEED 10.3% PA.!! IF U HOLD RED SENA MOTHER UNTIL MATURITY YOUR RETURN IS ROUGHLY 8.6% PA....IF U HOLD MALTON LOAN STOCK TILL MATURITY THE YIELD IS AROUND 6.6% PA LOH.....!! U CAN BUY TAKEOVER COUNTERS....THE PAYOUT IS ROUGHLY 8% TO 10% PA. PUT AT LEAST 20% TO 30% CONCIOUSLY TO THIS TYPE OF FIXED RETURN INVESTMENT LOH...!! WHEN U INVEST BASED ON GRAHAM TYPE OF STOCK WITH HUGE MARGIN OF SAFETY IN MIND, WITH A MID TERM PERIOD OF 3 YRS...U R LIKELY TO GET WEIGHTED AVERAGE OF 12% TO 15% PA....!! WITH CAPITAL GAIN AND DIVIDEND..!! THIS MEANS U DOUBLE YOUR MONIES EVERY 6 TO 7 YRS LOH....!! BCOS OF THE AGGREGRATE HIGH RETURN U CAN ACTUALLY ALLOCATE AT LEAST 75% OF YOUR MONIES HERE LOH....!! UNLIKE KYY...RAIDER DON RAMMED UP GROWTH STOCK INVESTMENT...RAIDER INVEST BASED ON A BALANCE PORTFOLIO...A COMBINATION OF DIFFERENT TYPE OF STOCKS, THAT HAVE GOOD MARGIN OF SAFETY LOH...!! THE ABOVE RISK IS APPLICABLE TO BOTH CASH EQUITY INVESTOR AND MARGIN INVESTOR TOO....!! FOR MARGIN INVESTOR AT LEAST THE BANK TRIGGER A SALE, IF IT DROP TOO MUCH...BUT FOR CASH EQUITY INVESTOR...THEY MAY KEEP HOLDING THE STOCK UNTIL IT BECOMES PN17 LOH..!! THUS IN A WHERE MARGIN IN INVESTORS ARE MORE ALERT THAN CASH EQUITY INVESTOR LOH...!! chong...after reading all your replies, I still think you need to register yourself for a course in Finance as much as newbies to the stock market need to register to your course. They learn Part 1 form you, you learn Part 2 from the pros. Please enlighten me on who are the "pros" i need to learn from; and what constitute the "part 2" you are talking about. chong..part 2 is asset allocations and Portfolio Theory and Management as someone mentioned. because firstly you seem to be confused with some basic terms, and some concepts I tried my best to explain in simple terms, you still cannot grasp. Desa, let me tell you that I have learned business administration, personal financial planning and gone through the highest level of study in finance, i.e. Master of Finance course and have done an academic research paper of a calendar anomaly in an overseas University. I was top in the class obtaining a degree in Master of Finance with Distinctions. I could give lectures to finance undergrads on corporate finance, financial risk management, and investment, no sweat. May be not now as it has been a while. No, I can’t teach accounting, though I have done some papers of accounting. I have worked as a licensed independent financial planner with CMSRL, CUTA and FAR licenses before. So wonder why I challenged you when you mocked me, and kept on mocking me about what I have written? But you just chickened out, good move by yourself. Save yourself from embarrassment. But have you read about me boasting about this? Not until now after being irritated by you, by your very strange behaviour of agreeing and singing along, and kept on praising everything and whatever someone you idolized, whether it makes sense or not, but on the other hand, mocking all others, and you have climbed over my head. Why didn’t I boast about this? Because though the course is very mathematically challenging and I enjoyed them very much, and it had provided me with a foundation in finance, there is very limited use in investing in the stock market. In other words, those modern portfolio theory, efficient frontier, capital asset pricing model, the alpha, beta, gamma, theta and all the Greeks, Real option, the financial engineering such as Straddle, Strap, Condor, Butterfly and what not, value at risks etc. have no use for retail investors like us, and they have limited usage even for fund managers. So continue to “hit the horse’s fart” if you wish, that is your prerogative, but stop mocking and telling me what to do in investing. You are not qualified to do so. Desa, u should thanx to yourself of being disgraced from your own. People call diversification the only free lunch. Why? What is the meaning? The market theory says no free lunch. It's all risk and reward. But MPT says diversification when done properly can increase the portfolio returns per unit of risk, not available to the individual stocks. Key words.......when done properly, ......returns per unit risk. Some may ignore you because they seek maximum returns irrespective of risk but those who seek the optimum level between risk and rewards will appreciate that. If you are not going to cover this elementary stuffs clearly, convincingly and understood.....the investment guru is not really an investment gurus. It helps in planning every thing with the word portfolio in it....including and especially margin accounts. I have ideas how to do it, make it interesting, applicable, relevant but it's too much effort for a public forum. You should start to recruit students now to teach modern portfolio theory as a passionate job and at the same time earn some income like some of us do. Thanks for sharing KC, avoid margin financing, invest in stock market using our own blood money. Don't play up with simply type few wikipedia phrases; be understand of we comment, else i3 sifu challenge we juz like eating durian...can't say a single words. don't hide behind "require too much effort"
Desa has earn d lessons from his rather naive behavior.